Monday 26. 11. 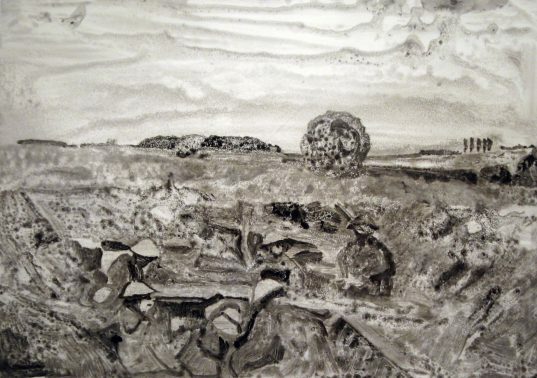 18 Today I am going to start colouring in this monoprint of the landscape where my grandfather was wounded in WW1.